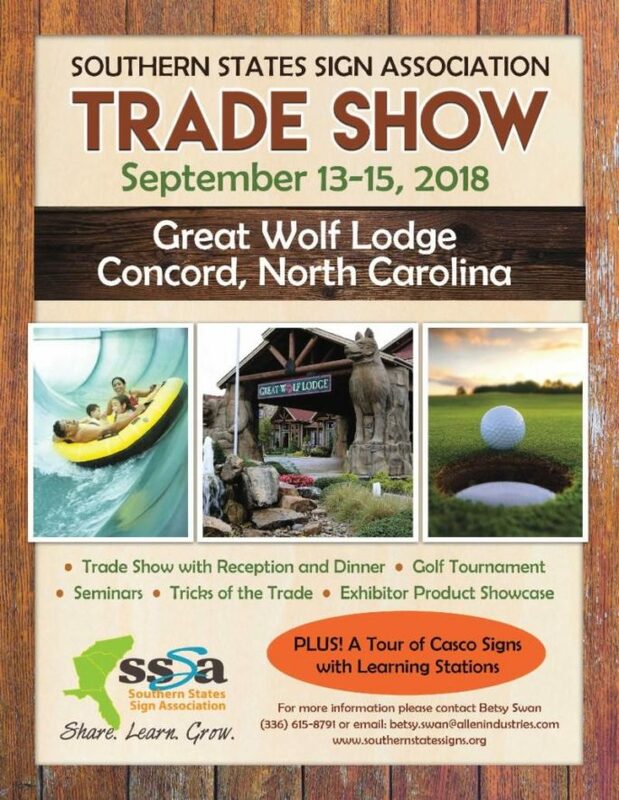 Southern States Sign Association Trade Show | Wrisco Industries Inc.
Southern States Sign Association Trade Show, September 13 – 15, 2018 at the Great Wolf Lodge, Concord, NC. Swing by the Wrisco Booth manned by Mark Lopilato representing Wrisco Atlanta. As a Southern States Sign Association (SSSA) member you gain an instant network of industry professionals that work together by exchanging ideas and information. The network of members offers you direct and constant resources to grow your business. SSSA organizes several events throughout the year that provide you the opportunities to view the latest products and technology, as well as attend educational and networking events allowing companies to come together… SHARE, LEARN and GROW!